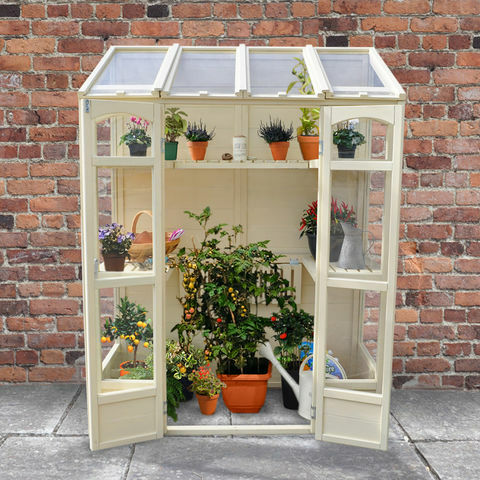 The fully-featured Victorian Tall Wall Greenhouse from Forest provides an efficient way to house plants of many sizes. 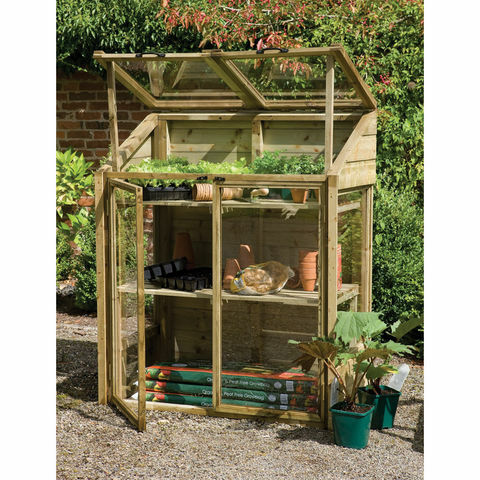 With a compact size suitable for even the smallest of gardens, the greenhouse also features a back panel, protecting the plants stored inside wherever the greenhouse is placed. Two opening vents at the top of the greenhouse allow for ventilation, while double doors give full access to the gardener. Taller plants are accommodated with adjustable middle shelves, allowing larger plants to be placed at the bottom of the greenhouse. 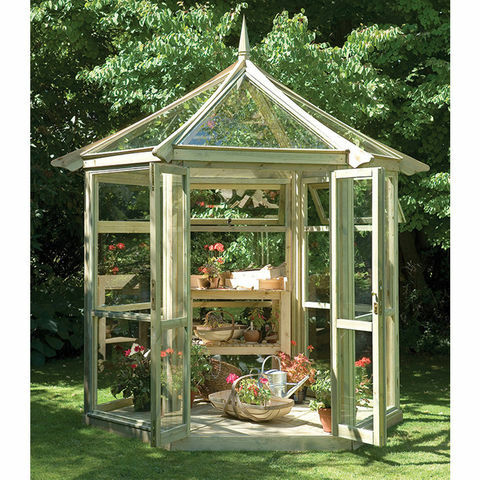 The Victorian wall greenhouse is supplied unpainted so you may paint or stain it to suit your garden.